Home News What does diversification really mean for our auto sector? The recent decisions by Ford, Holden and Toyota to cease manufacturing in Australia have raised serious concerns for the thousands of Australian businesses who work in the automotive supply chain. Manufacturers are asking themselves, how will I respond? How will I transform? Some suppliers service other markets, so their businesses may continue, albeit with a smaller customer base. However many suppliers are vulnerable and highly dependent on the volume from the auto industry for their survival. These business owners must choose whether to wind up, or to diversify their business so that they can fill the hole. At CSIRO we are investigating the concept of diversification for the small and medium businesses in Australia’s automotive supply chain. CSIRO has the largest manufacturing innovation program in Australia, partnering with manufacturers to help solve technical challenges, improve products and processes and develop new technologies. Our close relationship with industry has allowed us to build a broad picture of the challenges Australian manufacturers are facing. It also gives us the opportunity to play a pivotal role in helping manufacturers innovate, diversify and transition to new markets. The biggest misconception about diversification is that there is only one way to do it. In fact, diversification can take many forms – diversifying into different supply chains and global markets, or even diversifying products, processes and business models. Manufacturers that branch out into other industries mitigate the risks that come with limiting themselves to one supply chain. One company that has continually done this well is Marand Precision Engineering. A key supplier to Australia’s auto sector, Marand is now branching out into aerospace, defence, rail and mining, with automotive business now representing less than 10% of its turnover. The key question this firm asked itself was: do the components we manufacture always have to go into a car? The simple answer was no. Marand’s specialisation isn’t in automotive supply; rather it is precision engineering – skills that can be applied elsewhere to different markets. Diversification doesn’t have to be mean moving into new industries. Melbourne-based firm MtM was founded as Melbourne Tooling Co half way through last century, growing to manufacture and design components for Ford, Holden, Toyota, Nissan and Mitsubishi. It even exported parts to Cadillac in North America. Since 2013, MtM has been selling entire cars – online. The company recently launched the Tomcar, a tough off-roader that is all about customisation – focusing on niche market segments like agriculture, tourism and mining – which can be paid for via the cyber-currency Bitcoin. 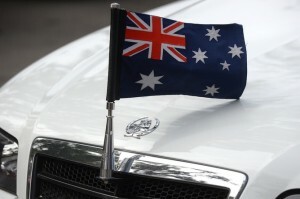 Some of the challenges facing our automotive industry – including a high Australian dollar – are unique to Australia. That’s why it’s important for companies to remember that manufacturing is a global business. Based in Port Melbourne, Futuris Automotive now has established manufacturing plants in Australia, China, North America, South Africa and Thailand. The company has taken advantage of the global marketplace, supplying seats, trims and upholstery to car manufacturers around the world. Just as companies shouldn’t limit themselves to one supply chain or region, sometimes it’s the product offering that needs to be varied. Air International Thermal Systems has traditionally provided air conditioning and climate control systems to auto manufacturers. However, the company’s underlying expertise in thermodynamics has allowed it to move into battery pack designs for electric vehicles. Businesses that understand what they are truly capable of will be more resilient and adaptable to changing market needs. AW Bell is a family owned and operated business that has been servicing Australian manufacturers with metal parts for over 50 years. Collaborating with CSIRO through theResearchers in Business program, AW Bell developed a new process that allowed it to fabricate complex, lightweight aluminium parts faster and cheaper than conventional techniques. This step change in capability has allowed the company to become a supplier to the global defence and aerospace industries. It has even supplied components to the Joint Strike Fighter program. While it is widely agreed that diversification may offer solutions for our auto suppliers, there remains the small matter of timing. The typical timeframe for a business to successfully translate an opportunity into reality is five to ten years. With only three years until the closure of the Ford, Holden and Toyota manufacturing plants, this process of translation must be accelerated dramatically. This is where a collaborative networks and harnessing expertise are most needed. In these times of uncertainty, it is important for our manufacturers to remember there are still exciting opportunities to innovate in our manufacturing sector. The companies that tackle this challenge head on will be the ones that successfully make the transition. On March 5 CSIRO is hosting a workshop that will bring together automotive suppliers from across Australia to explore opportunities for diversification in the manufacturing sector.